The people of Newcastle and the Hunter Region are all invited to come along to the Newcastle Art Gallery on the 27th May 2014 at 2pm, to formally thank the TROVE team for their wonderful work in digitising our Region’s Newspapers. An event has been organised – Read All About It: A Treasure Trove of Historic Newcastle Newspapers, and will be held on Tuesday 27 May at 2pm at the Newcastle Art Gallery. 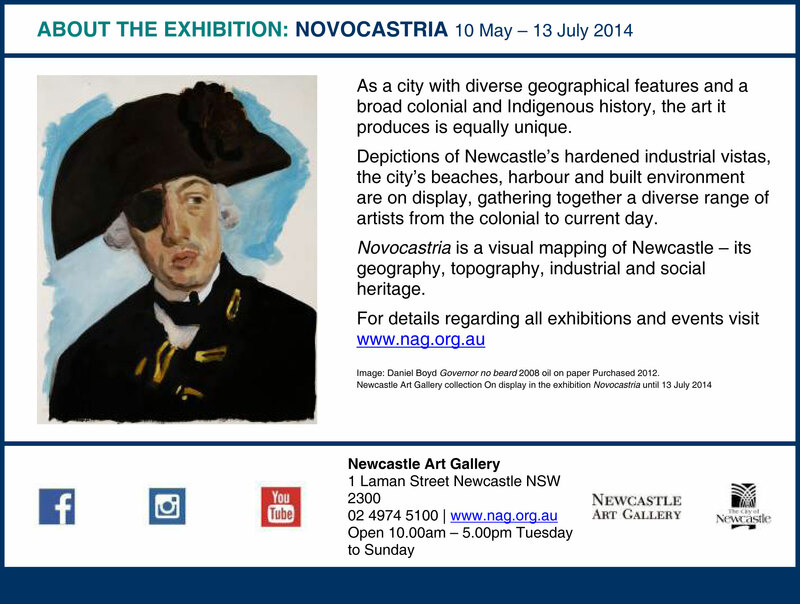 This event is a joint effort by the University of Newcastle and Newcastle Art Gallery. It will also introduce the Trove Novocastria exhibition. Trove is a resource which is transforming historical research in Australia by providing free online access to books, articles, photographs, music and more. 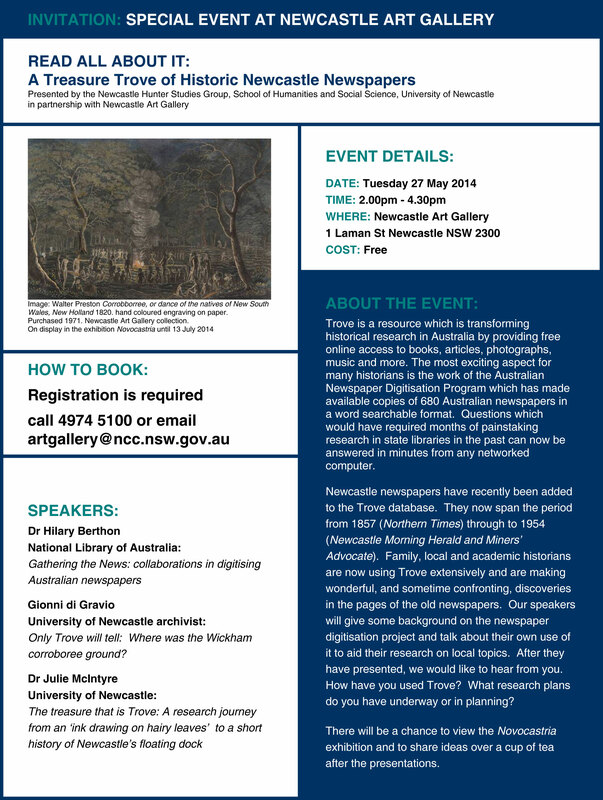 · Gionni di Gravio, University of Newcastle archivist: Only Trove will tell: Where was the Wickham corroboree ground? · Dr Julie McIntyre, School of Humanities and Social Science, University of Newcastle: The treasure that is Trove: A research journey from an ‘ink drawing on hairy leaves’ to a short history of Newcastle’s floating dock.